Marsha McDaniel is a Commercial Officer in the Mumbai, India office of the Commercial Service. 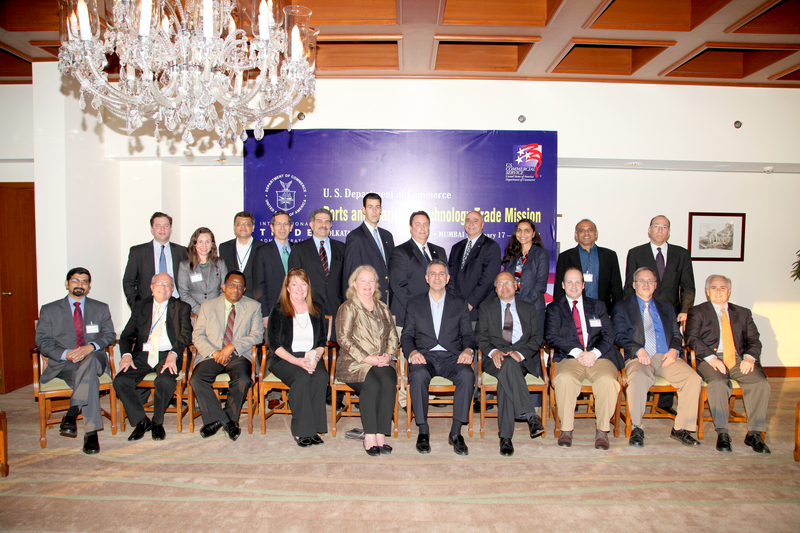 Led by the Under Secretary of Commerce for International Trade, Francisco Sánchez, the first-ever Ports and Maritime Technology Trade Mission to India introduced twelve U.S. companies to the entire maritime territory of India, spanning from Kolkata in the east, to Chennai in the south, and ending in Ahmedabad and Mumbai in the west. India, with its vast coastline of 4,600 miles, offers abundant opportunities for U.S. ports and maritime technology companies. During their visit the trade mission delegates traveled nearly 2,000 miles within India and they participated in more than 200 customized business meetings. The participating organizations included two premier U.S. seaports – the Port of Baltimore and the Port of San Diego – as well as ten leading U.S. companies that provide port technologies including dredging, port security, and logistics. Starting in Kolkata on February 17th seven participating companies visited the eastern region of India to explore commercial opportunities at the Haldia Port. This was the first major U.S. trade mission to visit Kolkata since 2008, and the delegates were warmly received by the local business community and the Commercial Service Kolkata team. The official trade mission kicked-off in Chennai on Monday February 20, where Under Secretary Sánchez, Commercial Service India’s Minister Counselor Judy Reinke and the Commercial Service Chennai team welcomed the full delegation of twelve companies. Also participating in the mission were representatives from the U.S. Trade and Development Agency and the Overseas Private Investment Corporation. While in Chennai the Under Secretary and the delegates met with India’s Minister of Shipping, Shri G.K. Vasan, and participated in matchmaking sessions organized by local business chambers. The second stop for mission participants was Ahmedabad, selected for its location in the state of Gujarat, which has emerged as a major maritime hub for India. In Gujarat one of the trade mission delegates – the Port of Baltimore – signed a sister-port MOU with the Ahmedabad-based Adani Group . The Commercial Service Ahmedabad team orchestrated a series of meetings for the delegates with various Gujarati ports while the Under Secretary participated in government meetings with state officials. Under Secretary Sánchez ended his trip to Ahmedabad with a visit to the Pandit Deendayal Petroleum University where he engaged in a lively discussion with nearly 200 students. Mumbai, the commercial capital of India, was the final stop of the mission. On February 23rd the delegates participated in a busy day of customized business meetings with potential Indian partners. While in Mumbai Under Secretary Sánchez participated in a SelectUSA event with leading Indian IT companies and he later inaugurated the new Commercial Service Trade Center at the U.S. Consulate in Mumbai. 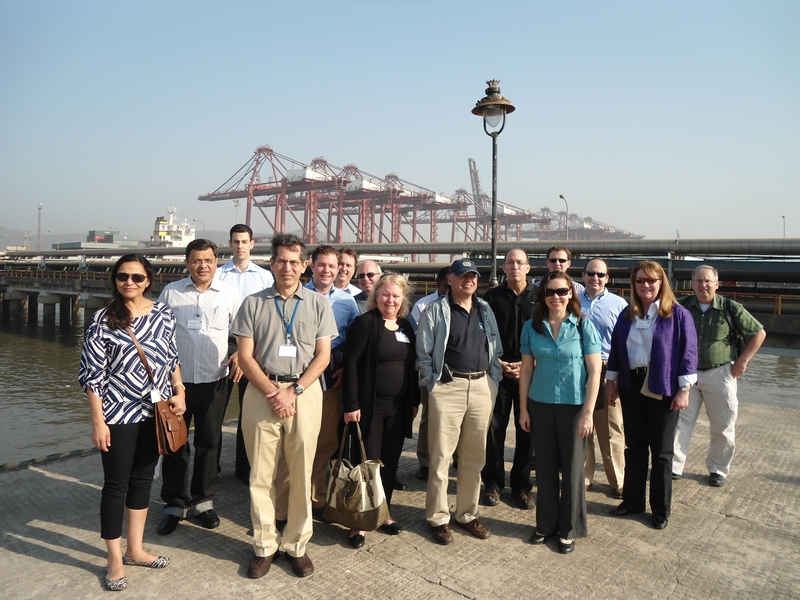 The mission participants received a special access comprehensive tour of the Jawaharlal Nehru Port Trust (JNTP), thanks to the efforts of the Commercial Service teams in New Delhi and Mumbai. During the tour, delegates had an intimate meeting with the JNTP Port Chairman during which they discussed specific commercial opportunities related to dredging and port security. The delegates completed the mission feeling optimistic about the commercial opportunities in this sector. The companies realize that doing business in India is a long-term proposition and this will be the first of hopefully many visits to India that the companies will make. The Commercial Service team in India is standing by to assist U.S. firms create lasting partnerships that will help bring American port and maritime technology solutions to India. This mission was the first of several infrastructure-related events that will take place in India this year. The U.S. Secretary of Commerce, John Bryson, will lead an infrastructure trade mission to New Delhi, Jaipur, and Mumbai during March 25-30.